Online Reputation Management (aka ORM, aka Negative Suppression Service) helps companies eliminate or reduce the damage caused by negative Internet postings that rank highly on searches for their company, brand names or individuals associated with the organization (such as the company president). Removing the offending pages is difficult, but not impossible. There are two main ways to try to remove the negative content: 1) Legally 2) Using Search Engine Optimization (SEO) and Social Media Marketing. We use a combination of both techniques. For more details on our services please contact us or read on. The legal method could be costly. In most cases, the negative postings are left anonymously, so there is no way to prove who posted them. If you feel you know who posted it, you may file a lawsuit against them and try to subpoena records from the website where the listing appears, but most likely the offender would not have used their own internet connection and email address that can be tied back to them. However, even if you get a court order, most often sites such as ripoffreport are immune from removing any content from their websites, as they are considered public forums and the law protects them from being sued or taking removal actions. Other less expensive methods may help in removing content, such as sending cease & desist letters. Although, Submit Express is not a law firm, we are familiar with most legal aspects of reputation management and use an in-house counsel to send cease & desist letters on your behalf. We have been successful in removing negative content in the past by sending removal letters. Each case is different. We urge you to contact us so we can analyze your situation to see if we could help you remove the content legally. The targeted use of Search Engine Optimization (SEO) and Social Media Marketing lets us move such pages down in search engine rankings to the second page or lower, where they will be “buried” and attract less attention. Using proprietary techniques, in some cases we are able to completely drop the negative listings from showing up in Google. Submit Express uses several methods to achieve this goal, including performing SEO on your main page and building several other blogs or mini-sites for your company. Link building will also be a major part of the campaign. Combined, this creates links that will elevate all of your online properties ahead of any negative pages in major search engine results. Another major portion of the Reputation Management work we do involves Social Media Marketing. We build social media profiles on major social media sites with optimized content. We also provide link building, which pushes these additional sites higher in search engine rankings while dropping offending sites further down. 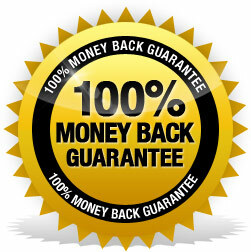 We now offer 100% money back guarantee on most our reputation management services. In most cases, we are able to completely remove negative content from showing up in Google and major search engines. In some cases, we can even remove the negative listings from the offending sites. Each case is different. We urge you to contact us for a free analysis and hear what we can do for you. Submit Express provides reputation monitoring services. Submit Express provides you with instant or daily alerts as well as weekly reports of all activity around your brand name, whether positive or negative. Submit Express will monitor major social media outlets such as Twitter, Facebook, MySpace and LinkedIn in addition to major blogs, forums, online directories and the entire Internet. 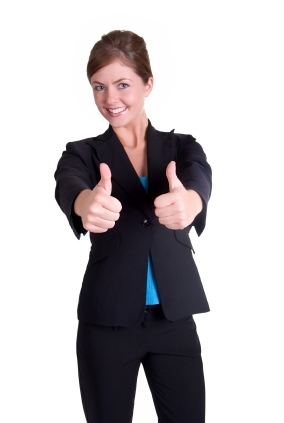 If any new content is indexed in Google, Yahoo or Bing, it will be found. Some of our tools allow us to find content before it is indexed by major search engines. We will also alert you on any newly registered or dropped domain names with your brand name. Our reputation monitoring service allows you to have the peace of mind that a professional company is watching over your brand, letting you focus on other crucial elements of your business. We will even provide you with advice and guidelines on what to do when you run into negative feedback about your brand and the best strategies for eliminating the problem. Our company has over 15 years experience in SEO and reputation management. Our president, Pierre Zarokian, is an expert on reputation management. He has spoken on the subject numerous times at different conferences such as Webmaster World, Affiliate Convention and Monitoring Social Media. You could read one of his presentations about reputation management here.